Welcome back! This week’s author interview is with the talented Nemma Wollenfang! Nemma is a speculative fiction and romance writer with a host of short stories as well as a novella available through such outlets as Flame Tree Publishing, Titan Books, Roane Publishing, Romance Magazine, and more. Recently, Nemma and I discussed her inspiration as an author as well as her favorite (and least favorite) parts of the writing process. Since I was little I’ve been penning stories. Recently my mother found my first ‘book’ written when I was around six years old titled ‘the dirds’. Apparently I was a young Hitchcock who had trouble differentiating ‘d’s and ‘b’s. As many adult know though, finding time to write can be tough. While at university I had little time to spare – doing a dual science degree didn’t help with that. When I completed my masters I took a gap year, not with the express intention of writing, just to explore options and have a break from laboratories. I’d also lost someone close to me and wanted some quiet time. Writing wasn’t even on my radar. In the end, I sort of fell into it. After reading an old Greek myth about Actaeon, an idea for a zombie apocalypse novel sprang to mind. I know, odd connection, but I couldn’t let it go. That was when I ‘caught the bug’, so to speak. Writing turned out to be therapeutic and freeing and it was pretty much the only thing I wanted to do after that. Of course, as with many writers, it took much longer to refine my technique, then to start submitting out. Now, I’ve had stories appear in various publications, including Murder Mayhem (Flame Tree Publishing), A Bleak New World (RIP), Come Into the House (Corazon Books), and Romance Magazine. My first ever novella, a fantasy romance called Dragon Law, has also recently been released in the anthology Masked Hearts by Roane Publishing. Longest story published to date! As to favorite authors, that’s just tough! There are so many. But here are a few who have particularly stuck with me. People who have developed fabulous worlds I’ve revisited more than once. Anne Rice (Interview with a Vampire), Jules Watson (Dalriada Trilogy), Kresley Cole (Arcana Chronicles). If you haven’t heard of the last two I highly recommend having a look. 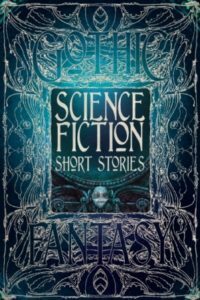 Your story, “Clockwork Evangeline,” appeared last year in Flame Tree Publishing’s Science Fiction Short Stories anthology. What was the inspiration behind this particular piece? It was a competition run by Steampunk Journal in 2014. When I saw the advert I was intrigued – I’d never heard of steampunk before. After doing a little research into what it was I was hooked. Victorian-era fashion combined with steam-powered devices? I wanted to write about that! While twiddling my thumbs over potential plots and listening to an OST score, the clockwork girl in her holographic clothes quite literally danced into my head. Thus, Clockwork Evangeline was born. The story subsequently won first place in the over 18 category and was published by Titan Books on their website. “Clockwork Evangeline” was my first ever short story to be published, so I was thrilled. Your fiction sometimes delves into the historical. Do you have a specific approach to research when you need to find and verify historical details in your writing, or do you allow each project to dictate your process? Usually I just go with the flow of an idea. If research needs doing, I can mostly sort it later – usually I just need to clarify details. You see, I’ve grown up with a lot of historical fiction, and around a lot of history – my mother often took me to visit historic British sites growing up: burial cairns, standing stone circles, old ships, cathedrals, castles, etc. – so a lot of it comes naturally, as I at least have a vague idea. If I do have trouble getting the feel of a particular era, sometimes I find that watching films or reading novels set in the time helps before embarking on a new historical project. It allows me to get the feel of accents, fashion, etiquette and language – the smaller details that sometimes get bypassed. And, as always, a brief internet search can usually answer a lot of questions. To not hinder the flow while writing, I tend to leave the more trying details until later. In your university work, you’ve studied both biology and parasitology. Do elements of these fields ever creep into your fiction? A while ago, someone asked me this question and my immediate answer was ‘no’. Then I thought about it… and actually, elements do creep into my work. A lot of my university career was spent around blood-sucking insects and the parasites they transmit, specifically ticks, but I learned plenty about the vast array of vectors and parasites that exist worldwide and how they can not only invade a host body but alter their behaviour to suit their own needs. Creeped out yet? One of my favorite science fiction short stories, “GOD is in the Rain” (published in A Bleak New World by RIP), is about a parasitic type of technology that runs rampant, invades human bodies and alters behaviour. I had a lot of fun writing that one. Likewise, Clockwork Evangeline (the novel) has a number of ‘science-gone-wrong’ moments, with several mad scientists thrown into the mix who think it’s a-okay to play God. Many of the tinier details in these stories came from things I learned during my degrees. So yes, my science background seems to have given me a lot of delicious fictional fodder to work with. If forced to choose, which is your favorite part of the writing process: drafting new ideas, crafting a first draft, or polishing an almost finished piece? When the idea for a new story strikes, and you can’t leave it alone, that is one of the best feelings in the world. When the characters really speak to you and new scenes keep popping into your head and you just can’t stop typing… Like many writers, I have little notebooks constantly nearby – to jot down all the things I’ll otherwise forget if I wait too long to reach a computer. They even went with me to my best friend’s wedding the other week – where the strawberries on the buffet table gave me an idea for a new romance novella. I find it a lot harder when it comes to actually piecing a story together, chapter by chapter. That’s when the tougher decisions come into play and things get cut. Editing, I’ve found, is the longest and most tedious part of the process. Knowing when a piece is finally finished and ready to send out can be hard. However, that sense of achievement when you’ve been working on a piece for a long time and you finally type ‘The End’ can be fantastic. The biggest is Clockwork Evangeline (the novel). After it won a prize as a short story and was later published in Flame Tree’s deluxe gothic fantasy hardback, I decided to expand the story. It just kind of took flight and its first draft won Retreat West’s First Chapter Competition in February. It also later received an Honourable Mention for a grant from the Speculative Literature Foundation (SLF). Currently I’m working on some final editor’s notes, before taking a deep breath and handing it out to Betas. Then… we’ll see. I also have another novel in the works, a historical one called Rose Gold: A Piratical Tale. As you can tell, it’s about pirates. It has been shortlisted in three novel awards so far but still needs work. There’s also the infamous zombie apocalypse novel too! So at the moment I have plenty to keep me occupied. Big thanks to Nemma Wollenfang for being part of this week’s author interview! Find her at Facebook, Twitter, and Goodreads as well as on Amazon. This entry was posted in Fiction, Interviews on October 26, 2016 by gwendolynkiste. Welcome back! This week, I’m excited to spotlight author and editor Maria Kelly. I’ve worked with Maria both as an author as well as a behind-the-scenes slush reader earlier this year as she prepared the recent issue of The Were-Traveler. 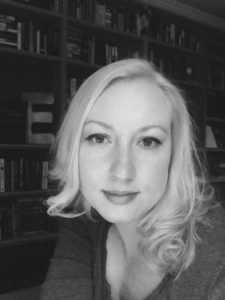 In every capacity, Maria is a fabulous writer, editor, and individual, and it’s terrific to have her spotlighted on this site. Recently, Maria and I discussed the genesis of The Were-Traveler as well as her plans for the future. When I was a little girl, my grandma would tell me scary Rawhide stories. Soon, I began telling her stories. She bought me notebooks to write them down in and eventually a used typewriter. She and my mom were always encouraging me to write my stories down. I’ve written stories and poems since that time. I remember that I made the decision to finally submit my stuff after my mom and husband passed away. Because I am introverted, and fear rejection, they would tell me “You can’t get published if you don’t take a chance.” I’ve been taking chances since 2009. I’ve won some, and lost a whole lot more. But I’m hooked now. A “no” from a publisher or editor just makes me want to try harder. [As for authors,] Ursula K. LeGuin, Neil Gaiman, Stephen King, Alan Dean Foster, Gabriel Garcia Marquez, Joyce Carol Oates, Shirley Jackson, J.K. Rowling, Robin Hobb, J.R.R. Tolkien, Christopher Marlowe, Suzanne Collins, and many others, including Japanese manga authors like Tite Kubo (Bleach) and Eiichiro Oda (One Piece). I love great world building in a story. And interesting, complex characters. What inspired you to start your online publication, The Were-Traveler? I had been tossing around the idea for a while, but worried about where I would find the balance between writing, school work (I was attending college at the time) and publishing. I decided that I would just have to do it and become better at time management. I’m glad I did. I love publishing the magazine and interacting with the contributors. How do you balance your workload as an editor with your writing? Very delicately. I also have two part-time jobs. Also, up until December 2015, I was a university student at USFSP. It has not been easy. I had to put the magazine and most of my writing projects on hold for over a year while I finished up my bachelor’s degree. The last year of school was brutal. But it’s done, for now, and I can get back to the magazine and writing. I write or read magazine submissions whenever I can. I’ve also had some help (points to you) with slush reading for the last issue, which was very much appreciated, and I thank you very much for it. I’ll buy you a dinner sometime. Do you feel that your work as an editor has changed the way you write, and vice versa? I think working as an editor has changed my opinions of editors more than anything. As a writer, I used to think, why is this magazine rejecting this story of mine, it’s brilliant! You know, we all go through that. But now, I’m on the other side of it and have to say “No” to a writer for one reason or another. It’s a tough call. It has made me more aware of my stories that are rejected in that, hey, they might not be bad stories or poems, but for some reason it didn’t grab the editor or slush reader’s attention. I would like to see it growing in creativity and making a bit more money. I anticipate I’ll be enrolled in a Creative Writing MFA program somewhere by that time, so I hope to also be learning how to hone my writing skills even more. What upcoming projects can we expect from you? Well, The Were-Traveler is seeking submissions for the speculative poetry issue. Deadline on submissions is November 30th. I hope to get a few more submissions for it, thus the shameless plug. As for writing, I have several short stories and poems I’m working on. I’m always working on something. I’m also writing my creative piece for grad school, which I hope to have published one day, a weird as hell novel/la about a seemingly ordinary man who meets a strange goddess who rules the realm of illusion and hallucination. A sort of reverse Alice in Wonderland kind of thing. I’m also getting back to work on my fantasy novel. 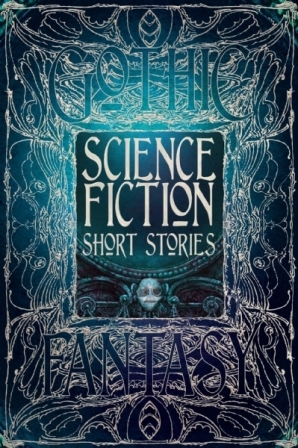 I recently had a poem published in the Science Fiction Poetry Association’s magazine “Star*Line” and I submitted a few poems to their speculative fiction poem contest, so I’m hoping one of those seeds bears fruit. Big thanks to Maria Kelly for being part of this week’s author interview series. Find her online at her author site and on Facebook! This entry was posted in Fiction, Interviews on October 19, 2016 by gwendolynkiste. Welcome back! This week, I’m thrilled to spotlight Cecilia Dockins. Cecilia is an accomplished writer of poetry and short fiction. Her work has appeared in numerous venues including Sanitarium Magazine and the HWA Poetry Showcase among others. Recently, Cecilia and I discussed her inspiration as an author as well as her plans for the future. I danced around the idea of becoming a writer after penning a script–using the term ‘script’ very loosely here–for my eighth-grade school class project. It was about a group of students murdering their teacher who is then spotted around campus after the fact. Frankly, there wasn’t much of a plot. I most certainly wasn’t the first kid to think of offing a teacher but to my benefit, I wrote the script before the spate of late low-budget 90s films like Teaching Mrs. Tingle and Killing Mr. Griffin. I’m not certain these days you could get away with writing that sort of thing for a school project, but at the time I felt a sense of freedom that I’d never experienced before. As for actively pursuing a writing career, that came much much later. I never knew any authors growing up, and I came from a blue-collar family with a thirst for the Pentecostal religion as well as for the drink. It seemed we never had a pot to piss in, so writing never felt like a practical or attainable choice; it was like saying I wanted to become an actress or an astronaut. Anyway, I packed my bags and was out of the house before my senior year of high school, and that’s when I started my true education. I read everything I could get my hands on. I didn’t have a compass for what was good or bad fiction. At first, I read mainstream and male authors, but it was only after discovering short stories by women writers in college like Charlotte Perkins Gilman, Kathe Koja, Nancy Holder, Flannery O’Connor, Elizabeth Hand, Theodora Goss, and Shirley Jackson that I truly fell in love with storytelling. In an odd way, it’s like through reading their stories it gave me permission to write my own. They are still some of my favorite authors. Recent additions to that list include Caitlin Kiernan, Livia Llewellyn, and Nathan Ballingrud. Congratulations on your recent acceptance to the Horror Writers Association Poetry Showcase, Volume 3 for your piece, “3 AM at Clio’s Laundromat”! How is your approach to writing poetry the same or different from when you write prose? Thank you. My process for writing poetry is completely different from writing prose. Poetry is play. It’s connecting the dots, fitting a puzzle together. Then there’s something about the Southern accent that has a natural rhythm and cadence I’m attuned to, and I can hear it in my poems. Plus, I tend to think in fragments, which lends itself beautifully to the form of poetry. Writing prose feels like work. I outline and obsess. My first drafts are usually very disjointed, but I eventually get the story into shape. 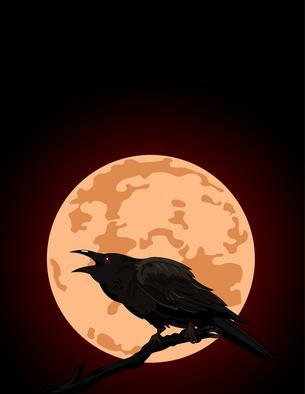 You also have a poem, “The Mother of Monsters,” that will be appearing in The Dark Ones: Tales and Poems of the Shadow Gods anthology from editor Gerri Leen. What can you reveal about that piece? It’s told from Ceto’s point-of-view as she births monstrous children into the world. It’s about grief and life, and the almost limitless capacity for a mother to love. You were born and raised in Tennessee. Do you find that the South often creeps its way into your writing? Also, are there specific stories set in the South written by other authors that frequently inspire you? Absolutely. I think wherever a person spends their childhood makes an indelible mark in the psyche because it’s such a special, fleeting, and confusing time. And yes; I’m frequently inspired by Southern authors. 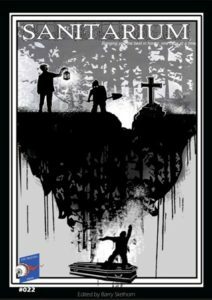 Steve Rasnic Tem’s Blood Kin, a powerhouse Southern-Gothic tale, and Elizabeth Massie’s Sineater are fine examples of novels that have inspired me. Their characters, though Southern, never feel cliché. I find I keep going back to Appalachian folklore, and have a particular affinity for Bloody Bones. My Memaw used to threaten us with him whenever we were getting into trouble. Out of your published pieces, do you have a personal favorite? Not really. I think I love and hate them equally. It’s difficult for me to see past the flaws, so I don’t reflect much on the stories or poems I’ve had published. Other than to say, I hope I do better on the next one. My inner critic really wanted to take me to task on this question, and I had to shut her up with several shots of tequila. I would love to see the novel that I’m currently working on completed and published. It would be nice to open my email and receive an invitation for an anthology from an editor instead of wading through the slush. To make an actual living at writing . . . respect from my peers. But no matter what my career looks like in five years, I’ll still be writing and submitting. Nothing is free in this life, but I hope it can be earned. You can find me at www.ceciliadockins.com or at my home, which would be creepy. Yeah, so don’t do that. Oh and I’m fairly friendly on Facebook. Thanks for interviewing me, Gwendolyn. Huge thanks to Cecilia Dockins for being part of this week’s author interview! This entry was posted in Fiction, Interviews on October 12, 2016 by gwendolynkiste. Welcome back! 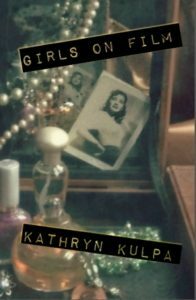 Today, I’m thrilled to spotlight writer Kathryn Kulpa. Kathryn is a widely published author and editor. Her most recent release is the chapbook, Girls on Film. I was fortunate enough to read an advance copy of Girls on Film over the summer, and I loved it so much that my blurb even appears on the back cover. The book is a fabulous examination of show business, isolation, and fantasy, and this group of stories most certainly stick with you long after the last page. Recently, Kathryn and I discussed her inspiration for Girls on Film as well as her writing plans for the future. I remember telling stories even before I started writing them down. When I had sleepovers with my cousins or friends, I would make up bedtime stories about my stuffed animals having adventures or just invent bizarre happenings with real people. I remember writing stories as early as second grade, and producing “books” of notebook pages folded in half and stapled. So it was something I always just did, but I didn’t really think about it in terms of “deciding to become a writer”–that would be like saying that one day I decided to become an oxygen breather! If I was good at anything else, I’d probably be doing that. And if I could become a mermaid and start breathing water, I would, in a heartbeat. Some of my favorite authors, in no particular order: Shirley Jackson, George Orwell, Vladimir Nabokov, F. Scott Fitzgerald, Raymond Chandler, H.P. Lovecraft, Edgar Allan Poe, Margaret Atwood, Charlotte Bronte, Neil Gaiman, Kelly Link, Madeleine L’Engle … I also grew up, unabashedly, on comic books and Mad Magazine. And I’ve re-read the Harry Potter series more times than I’d care to admit. The first story I read from you was “Under the Skin,” which appeared in a 2015 issue of Goreyesque. What was your process and inspiration for this particular piece? “Under the Skin” actually started as a much shorter story I wrote years ago for a special issue of Margin, a magical realism magazine. It was only about a page long, but the idea of these two bird girls, who were opposites but not, kept haunting me, and I knew I had to tell more of their story. Then I had this image of a girl tripping over a tree root at a cemetery and it turning out to be someone’s leg, and I knew the story had to have this cemetery element. When I was a kid, there was an old cemetery near my aunt’s house that was one of my favorite places to play, and bits of that made it into there. Congratulations on the release of your chapbook, Girls on Film. What a wonderful collection! How did you curate which stories would appear, and were there any tales that you initially planned to include but that ended up being cut from the final book? Not really. I had to choose carefully, because I was entering a chapbook contest with a 25-page limit, but I knew that certain stories had to go together. Although I’d written them at different times and published them in different places, the “Wendy and Brian” pieces were part of a cycle with these recurring characters–a troubled young woman who becomes an 80s child star, and her equally troubled but more private brother–and I still may go back to them. They’re very real to me. Then I noticed that other pieces had similar thematic elements: aspects of film, projection, seeing, being seen, fantasy vs. reality. Once I knew the title, it came together pretty quickly. I also put together another collection, What the Moon Sees, so pieces that didn’t fit in one went in the other. 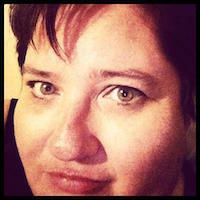 You recently worked with Eden Royce on the Spider’s Web Flash Fiction Contest. What inspired you to become involved with this contest, and what was your experience like as an editor reading the submissions? I became involved with Spider Road Press a few years back when I sent work into an anthology of flash fiction by women writers. The editor was in an MFA program at Goddard, and a friend of mine also went to Goddard, and she brought it to my attention. The anthology (Up, Do: Flash Fiction by Women Writers) ended up publishing two of my stories, and I’ve stayed in touch with the editor, who has done a great job promoting small presses and women’s writing. When she asked me to serve as a contest judge, I was happy to. I have experience judging contests and editing, but this contest was a little different, because the stories were being evaluated on not just literary quality, but also on whether they featured a strong, complex female protagonist. Eden Royce did a good job of keeping us both on track with that, and I liked having another person to discuss the stories with. Out of your published stories, do you have a personal favorite? Yikes! Kind of like choosing your favorite child … or cat … but I think my story “Mr. Lillicrop’s Shining Moment,” from my first story collection Pleasant Drugs, remains my favorite of my longer stories, because it was so much fun to write this eccentric character in this elaborate, playful, allusion-rich, old-fashioned style. My favorite flash fiction pieces are “Everything Makes You Sad,” from the new collection, because it takes everything that really is sad and makes it funny at the same time, and “Bricolage,” which was published in Smokelong Quarterly, because I’ve always loved reading ghost stories but I’d never really written one before. I have another chapbook that has been a finalist in some contests, so I plan to keep working on that and sending it out. I may have enough work at this point for a full-length story collection, so that’s another potential project. I’m also finding myself interested in going back to writing longer stories, and maybe a novel, which may or may not be young adult. Huge thanks to Kathryn Kulpa for being part of this week’s author interview! 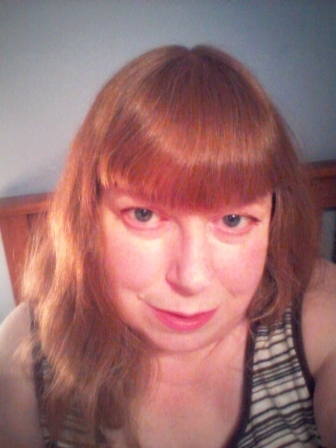 Find Kathryn at her author site as well as Facebook and Twitter. You can also find her at Cleaver Magazine where she works as the flash fiction editor and occasional book reviewer! This entry was posted in Fiction, Interviews and tagged Goreyesque on October 5, 2016 by gwendolynkiste.